Cuvee 30A brings everything the Emerald Coast loves about celebrity Chef Tim Creehan’s flagship restaurant to South Walton’s gorgeous new 30Avenue near Rosemary Beach and Panama City Beach. Savor Tim’s award winning signature dishes such as Amy Grant’s Seared Tuna Rare and Vince Gill’s Pecan Crusted Grouper in a stunning venue conveniently situated at the junction of 30A and Highway 98. As seen on “Emeril’s Florida”, the DiRoNA awarded Cuvee 30A also features their “Best of the Emerald Coast” voted Happy Hour, live music by Beachcomber Music Award winner Space Junkie, and a world class Wine List bestowed with 30A’s ONLY Wine Spectator Best of Award of Excellence. Open for Dinner 5:30-9:30pm nightly, -10pm Fri-Sat (seasonal). Located at 30Avenue in Inlet Beach, Florida. 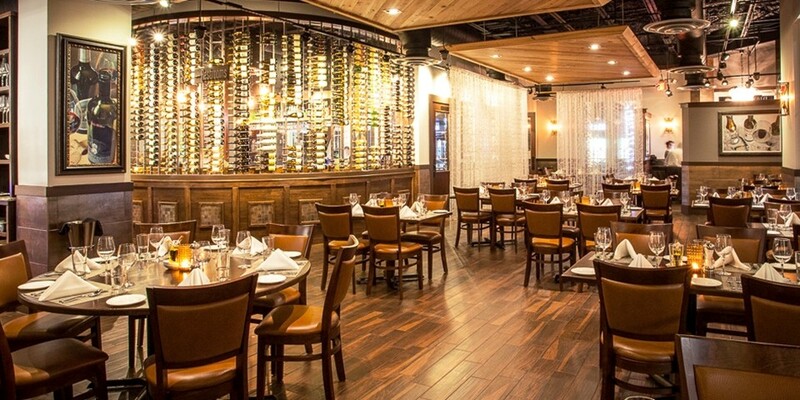 View Dinner Menu, Wine List, Bar Menus and more here. Make regular Dinner Reservations by tapping here. For Mother’s Day Reservations, tap or click here. “Best of the Emerald Coast” voted Happy Hour 5-9pm nightly. Happy Hour Dinner pricing in the Bar 5-7pm. Limited 40%-50% off Bar Menu items, including Crispy Flatbread Pizzas, Smoked Tomato and Shrimp Soup, Spring Rolls, Sliders and more. *Happy Hour Dinner Pricing from 5-7pm. Happy Hour not applicable on some holidays or special events. Prices subject to change without notice, please call to confirm. Click Here to see full Happy Hour Menus, specials and more. The Chef’s Table is owner and celebrity Chef Tim Creehan’s newest concept exclusively at Cuvee 30A, setting the standard for fine dining on the Gulf Coast. This table seats 2 to 6 guests by reservation only. Book your experience by calling 850 909-0111, consulting your server, or just click Here to explore the Menu, pricing options and more. For Weddings, Rehearsals, Catering, Special Events or Private Parties, tap here or call 850 909-0111 for more information. *Menu items and prices are subject to change without notice. Live Music in the Bar featuring Beachcomber Music Award winner Space Junkie in single and duo formats. Tap here for the live music schedule. *Live music schedule subject to change without notice. Please DO NOT use this form for same day reservation requests, call 850-909-0111. Requests submitted with this form must still be confirmed with a return email or phone call from Cuvee 30A. A successful form submission is not a confirmation. For Mother's Day Reservations, tap or click here. Closed for a private party on this date. 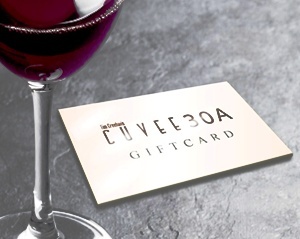 You must call Cuvee 30A by 3pm the day of your reservation time to cancel your reservation or decrease the size of your party to avoid a cancellation fee of $25 per guest on the credit card used to secure the reservation. If you do not show up this evening to honor your reservation, or your party size decreases substantially, you will be charged $25 per guest on the credit card used to secure the reservation. You must call Cuvee 30A by noon the day of your reservation to cancel your reservation or decrease the size of your party to avoid a cancellation fee of $50 per guest on the credit card used to secure the reservation. You must call Cuvee 30A 24 hours in advance of your holiday reservation to cancel or decrease the size of your party to avoid a cancellation fee of $50 per person on the credit card used to secure the reservation. You must call Cuvee 30A 72 hours in advance of your ticketed or prepaid event reservation, such as a wine dinner, to cancel or decrease the size of your party in order to be eligible for the applicable refund. Cuvee 30A brings everything the Emerald Coast loves about celebrity Chef Tim Creehan’s wildly popular cuisine to South Walton’s 30Avenue. Savor Tim’s award winning signature dishes such as Amy Grant’s Seared Tuna Rare and Vince Gill’s Pecan Crusted Grouper in a stunning venue conveniently situated at the junction of Scenic 30A and Highway 98. As seen on “Emeril’s Florida”, the DiRoNA awarded Cuvee 30A also features their “Best of the Emerald Coast” voted Happy Hour, live music by Beachcomber Music Award winner Space Junkie, and a world class Wine List bestowed with 30A’s ONLY Wine Spectator Best of Award of Excellence.